Are you looking for a motor with the highest level of energy efficiency and a compact design? In that case, the DR...J motor with LSPM technology might be of interest to you: one motor which covers three efficiency classes. IE2, IE3 and IE4. The Line Start Permanent Magnet (LSPM) motor is an AC asynchronous motor which contains additional permanent magnets in the rotor with a squirrel cage. After an asynchronous start, the motor synchronizes with the operating frequency and runs in synchronous mode. A motor technology which opens up new, flexible possible applications for you in drive technology. The synchronous motors do not show any rotor losses in operation.They have an impressive degree of efficiency while maintaining a very compact design. In the same efficiency class, a DR..J motor with LSPM technology is two frame sizes smaller than a standard motor of the same power rating. 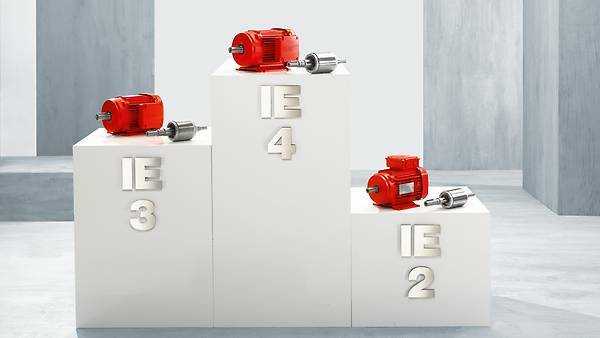 A standard DRE.. motor with 1.1 kW power rating of size 90 M meets the requirements of energy efficiency class IE2. By contrast, thanks to LSMP technology, you now use “only” one DRE..J of the smaller size 80S for IE2. Efficient and profitable! With the DR...J motors (LSPM technology), we, as a motor manufacturer, have succeeded in combining the advantages of the durable and robust asynchronous motor with those of the low-loss, compact synchronous motor. For greater efficiency in your applications. Only half the solution without a gear unit? In that case, use our modular system and combine an LSPM motor with a helical, parallel shaft, worm, bevel gear or SPIROPLAN® gear unit of your choice. All of these gear unit types are already available off-the-shelf, combined with DR...J motors as gearmotors. And we do of course provide the right inverter technology for the controller and control. We develop and produce the drive electronics ourselves so that they are perfectly tailored to our motors and gearmotors and to your application. 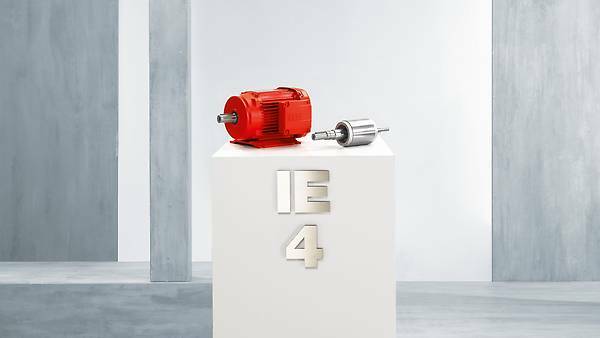 as you can use the DR...J synchronous motors anywhere in the world, also in the highest efficiency class IE4. as a DR...J motor can be up to two sizes smaller than a comparable standard asynchronous motor. as the DR..J motor runs at a constant speed regardless of the load, synchronous to the operating frequency without slip. IE2 motors of the same size.